If the title of this blog caught your eye and held your attention, you may be one of those who report often seeing combinations of the number 1 on clocks, signs and elsewhere on your life path. 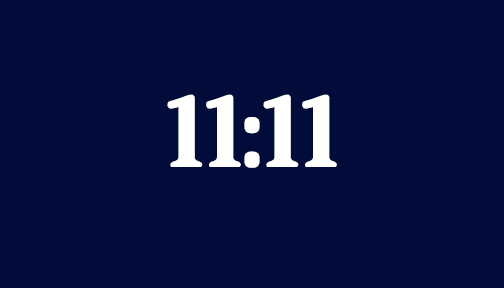 Seeing 1:11 or 11:11 frequently seems to be more than just a coincidence, but what does it mean? Since today is 11/11, I thought I would talk about my experience with seeing 1s. When one is involved with anything concerning psychic ability, there is a likelihood he or she will run into others who share similar experiences. On my psychic journey, I met a lot of “new age” people in the 70s who would talk about signs from Angels, spirits, God, departed loved ones and almost anyone and anything in spirit. One of the “signs” that was often brought up was seeing 1s in sequence, over and over. Some felt seeing combinations of 1s meant an Angelic Messenger was near, others felt it was a loved one sending a sign that they were OK. Still, others felt it was a sign of luck coming. I was in my teens in the 70s and, quite frankly, I was not sure if I was haunted, psychic, or just suffering from anxiety. I did not have many teachers to guide me and psychic ability does not come with a User’s Manual. When others would talk of such things as energy vibrations and spirit communications, most of it was lost on my immature sensibilities. I was probably being given just enough spirit guidance (and signs) to keep me intrigued, but my guides knew I just wasn’t ready to jump into a new realm yet. I never saw much in the way of 11:11s or 1:11s when I was younger. The fact that there were no cell phones and few digital clocks growing up probably helped delay my exposure. It wasn’t until I started training people with strong psychic ability that my internal clock began bonding with my home clocks. Yes, I was aware of the 1s appearing on clocks, but the binary onslaught really began once my psychic tutoring commenced. There were also plenty of 1s to go around. My students were seeing them as well, more and more as their training commenced. So what does it all mean? I have given great thought to this. I will randomly look at the clock at various times of the day, we all do. However, I don’t keep looking at 2:22 or 3:33 and so on. It’s always 1:11 or 11:11. Nothing happens at that time except something in my head makes me look at the nearest digital clock or the clock on my phone. I have seen a pattern in my 1s. They seem to come most when I am exhausted from channeling or feeling down. For me, I feel this is a higher energy saying, “It’s OK.” It also tends to reaffirm the need for me to continue helping people to hone their natural psychic abilities. When I have spoken to others, each message seems to be different. My dad (pictured right) used to say numbers and things would randomly pop into his head. He rarely talked about psychic ability, but said things and numbers would pop into his head all the time. He would see these numbers as white on black or black on white, and they would come out of nowhere. Maybe this is the way spirits worked before digital clocks were in vogue. Some see 1s when they are thinking or a departed friend or family member. Others see the same when they need a sign everything will be OK. While we should not become addicted to signs (that means no staring at your clocks waiting for the time to “1 out), it is OK to enjoy a little spiritual boost every now and then. If someone is sending you 1s, and you are constantly seeing them, there may be a bigger picture. It could be just coincidence, but it also could be that all these visual 1s are being sent as guideposts along your life path, helping you to know that life has its ups and downs, its comings and goings, but that there is always a higher energy watching over all of us. 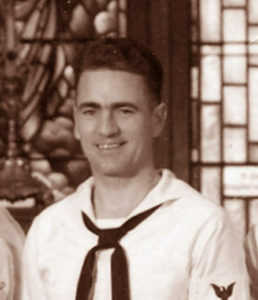 Today is 11/11, and also Veterans Day here in the US. Let’s all use the 11/11 energy to motivate us to savor life and not let life opportunities pass us by, to keep sending out good energy to all of those around us, and remind us there is a more to life than what we see and understand. Sometimes it is best not to question what we are given. Finally, let’s not forget to thank those living veterans who have served their country and remember those who have sacrificed their lives for others.